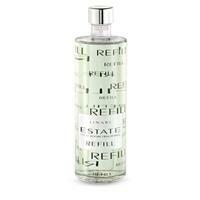 Add a burst of summer in the air with the Linari Estate room spray. Crispy notes of lime mingle with the fresh cut grass and green leaves for a smell that evokes the joy of summer. Swirling notes of exotic musk and amber emerge from the background and add a classy nuance to the scent. 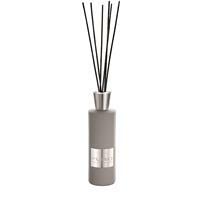 Sit back, savor and relax with the beautiful aroma permeating in the room. Transform your surroundings and elevate your entertainment quotient. 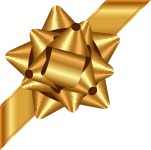 Your parties will have that charming vibe with the whiff of our Linari Estate room spray. 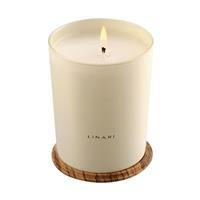 Supplement the smell of the Linari Estate candles with a spray to reinforce the Estate smell. The fresh and soft aroma will heighten the surrounding atmosphere with its appeal. Use the alluring fragrance in a large or small space to freshen up the surroundings. Made from graduated mirrored flacon of Italian glass, with a design that will impress one and all. The exquisite multiplex lid of Nordic birch wood adds to its glamor. Linari Estate room spray will accessorize any countertop with its timeless look. It comes in a 100 ml bottle.